Recently The Sludgelord was contacted by Morgan Gonclaves, editor for the October Doom Magazine (ODM), a respected Brazilian magazine, (in fact the only magazine) specializing in sludge/stoner/doom metal in Latin America. The catalyst for this communication was first and foremost due our mutual love of heavy music, but more importantly, Morgan thought there was an opportunity to form a partnership, the purpose of which was to promote each others work, but more importantly to promote music. We may speak and communicate in different languages; however the language of music is universal, therefore over recent months The Sludgelord has begun to contribute to their magazine, with album reviews from Monoliths and The Human Condition appearing in their pages. In return I have promoted ODM via social media, however the recurring question I have had given the magazine is published in Portuguese was, how can we read ODM in English? 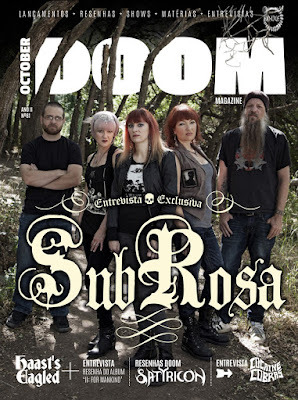 It is undeniable that ODM are blessed with talented writers, and the need to be able to translate it became all the more apparent last month, when ODM were fortunate to have a cover feature on SubRosa. Fortunately Morgan and his team set about getting the article translated and today, it gives me great pleasure to reciprocate the love our Brazilian friends have shown to us and publish our first ODM article, in the form of their August cover feature with Salt Lake City’s leading pureyors of doom, SubRosa. We hope you enjoy it. 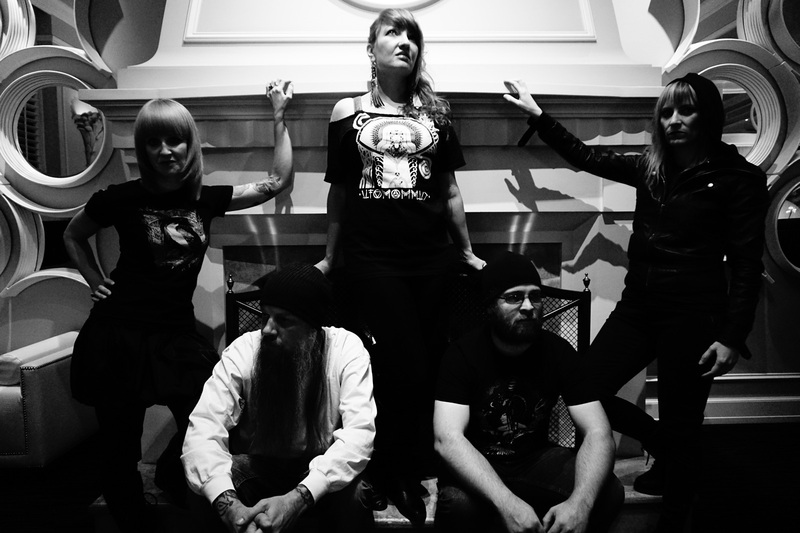 October Doom Magazine: Greetings! Can you tell our readers when you formed the band and what the current line up is at present? Sarah Pendleton: Greetings! 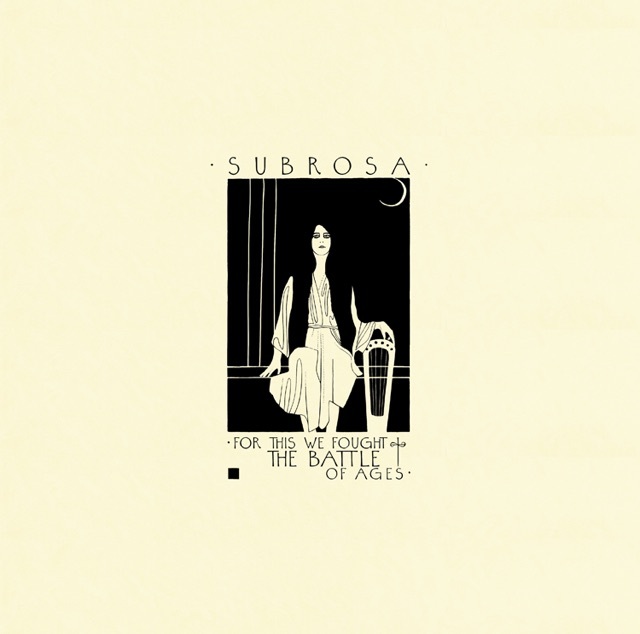 SubRosa was formed in 2005 by Rebecca (Guitars, vocals) and I.Over the last 11 years the band has evolved into the very best lineup we could imagine. Rebecca, Kim (violin, vocals), Andy (drums), Levi (bass) and myself, we are a family. ODM: On your first release, the demo “The Worm Has Turned”, the songs were rawer, I even noted some post-punk influence, but in “Strega” your first full length released in 2008, the direction of the band became evident. It also looks like after “Strega”the sound was influenced perhaps by stoner Rock, and the violin got more emphasis after Kim Pack joined. Am I right? Sarah: I would agree with that, definitely. When Kim joined the band, we had the task of layering two violins and making their interplay weave in with the rest of the instruments. The violin parts became more emphasized, and the music opened up and took on an unexpected magic. Rebecca: I feel like our sound did start solidifying more with “Strega” … that’s where you can really hear the direction we were heading in. Sometimes you can’t spot the evolution or direction of a band until you have two points (two albums) that can then make a line, with an arrow at the end. JThe first album was rawer and primal, more blues/folk-oriented, too. “Strega” started showing glimmers of the doom metal influences that would really start coming out in “No Help …” and that album was the more obvious pointer to the two albums that would follow; “More Constant…” and now our new album. ODM: Including an element like a violin is somewhat unusual in this type of music. Is this due to a taste for different kinds of music where the violin is present, or is it something that came naturally or was it a way to be different from others? Sarah: Haha, the answer to this is very simple. Rebecca and I wanted to form a heavy band; she was learning the guitar, and I was learning the violin, so we just jumped in to see what would happen. Finding Kim and adding another violin was a stroke of wonderful luck. We didn’t plan for this, it evolved that way, which is very fortunate. Rebecca: I actually was very unsure about having the violin in the band when SubRosa first formed, haha. I wanted to be the heaviest, loudest and most brutal band in Salt Lake City – I wanted to make people clutch their children to their chest and run screaming from clubs – and I didn’t know how a violin would fit in with that vision. But of course, we all know now that the violins are the two jewels in the crown of SubRosa. They bring an emotional resonance and depth to the music that wouldn’t be there otherwise. But it was completely an accident. ODM: In my opinion,” More Constant Than the Gods” was the peak of band’s creativity. A dense, dark and melancholic atmosphere, musical structures in perfect harmony... I feel light when listening to this disc; it has a philosophical, human message. Comment about the creation process of this disc. Rebecca: Thank you. Like Sarah said, we worked very, very hard on “More Constant than the Gods”, and it was very difficult pulling together. I sung about more personal things on this album than I ever had before. Like Sarah said, “The Usher” was influenced in part by my mother’s death. “The Usher” points out that sometimes death comes as a sweet release to those that are suffering cruelly. I think that is probably the human message you are picking up on. ODM: Is your new album a natural continuation of what was “More Constant Than The Gods” or will you add different elements and changes of musical vision in the creation proccess? Sarah: We can barely contain the excitement we feel about sharing this new album with whomever will listen. The process of writing this album was different from “More Constant…” The new album, “For This We Fought the Battle of Ages”, is based on the 1921 dystopian novel, “We”, by Yevgeny Zamyatin. This is the first time we have written an entire album based on a book. We all feel passionate about the concepts and problems that are raised in the book, and that gave us a lot of intellectual and emotional fuel to write the songs. Rebecca: “The Usher”was my favorite track off “More Constant than the Gods”, and we wanted to go even more in that direction with “For This We Fought the Battleof Ages” – exploring songs that had multiple movements that express different scenes or moments, almost like a soundtrack, or the movements of an opera or a symphony. We also tried to push ourselves to try different angles and approaches to writing riffs, and tried to be more daring with what we were willing to try musically and take more chances. ODM: What is your opinion about this “fight” involving record labels, copyright and freedom of speech? (I mean, about discs being shared in the internet, YouTube channels uploading songs and albums, this kind of thing). Sarah: In this age, we cannot deny or abolish the existence of piracy, or the Internet. It is painful sometimes to think about working tremendously hard on your music and struggling to survive financially. But we didn’t begin making music for money, and compensation comes in many different forms. However, it is important for every artist to know their worth and to know that they deserve to be paid for their work, like anyone in any profession. Rebecca: It is definitely a double-edged sword. One wonderful side to the Internet and piracy, though, is that it spreads your music far and wide. People will hear your album that might not have listened to you otherwise, and then they might come to one of your shows. Twenty years ago, bands would have killed for the tools that we have at our fingertips. ODM: Among all the festivals you have participated in – many in all those years – in which did you have the best experience, both organization and crowd’s feedback? Roadburn in the Netherlands. 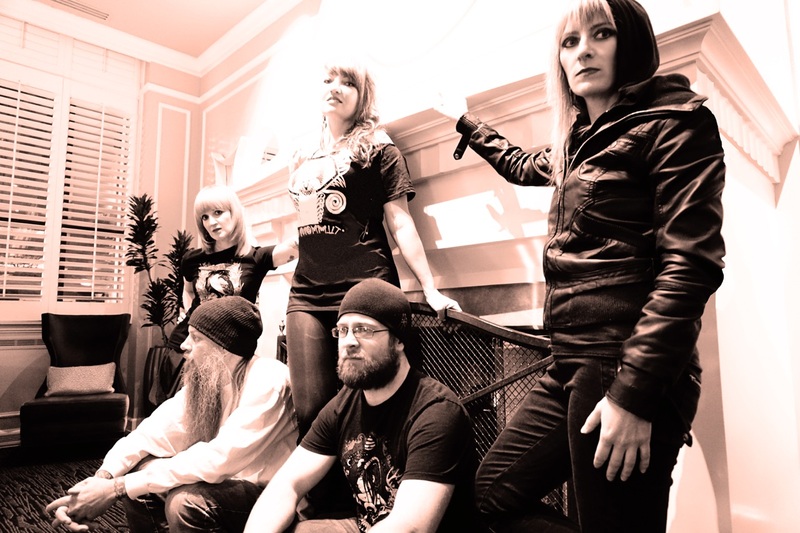 Most recently, we played the Sled Island Festival in Calgary, and the volunteers and organization were top-notch. We are going to play Psycho Las Vegas in August, and we are very excited. Rebecca: Sarah is right; we have had very few negative festival experiences. Almost all of them have been very well run. There was something special about Hellfest and Roadburn. I also really enjoyed our first show after a long break at Nathan Carson’s Fall into Darkness in 2012, and Psycho California in 2015. ODM: Do think there is a possibility of some day we here in Brazil appreciate your art in our stages? Sarah: We would love to come and play in Brazil! ODM: October Doom Magazine is grateful for your attention. We will be waiting eagerly for your new material! Do you have any final comments? 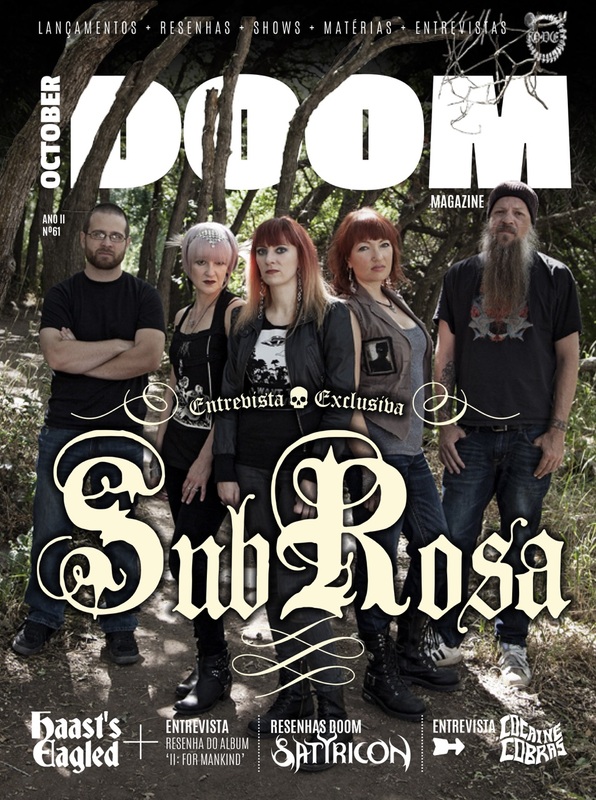 Sarah: Thank you to every SubRosa fan in Brazil, and to October Doom Magazine! We would love to make it to Brazilto play some shows.